I still had my Yupo paper on my desk when I decided to see how Copic refills would perform on it. 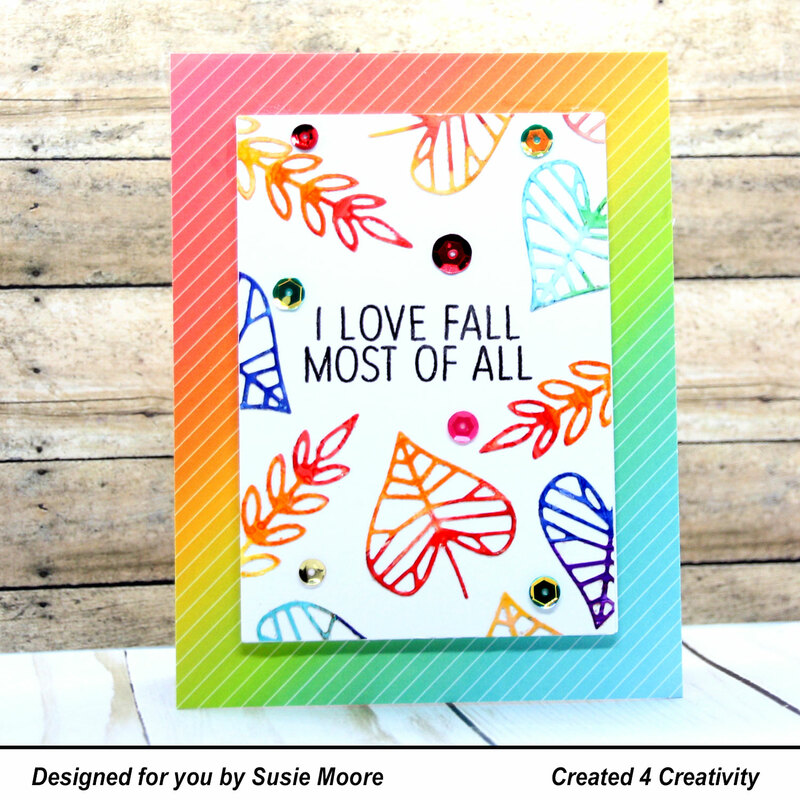 I made a few pieces in warm and cool colors and then used dies from Concord and 9th to cut them out. I may have created a monster...because I still have plenty of these leaves to make more cards! It's sort of addicting which is fun and dangerous! Because this month’s challenge at Where Creativity Meets C9 is to make a card with layers, I am sending this card over. 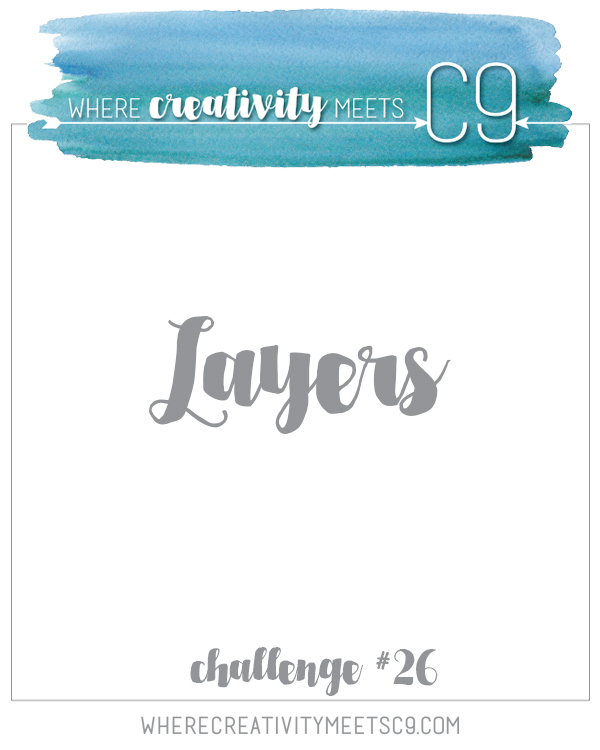 This certainly was an easy challenge for me because I love layers! I hope your day is going wonderfully! Please come back tomorrow because I have so many more ideas to share with you.